Synopsis: According to legend, Tom Booker can calm wild horses with his voice. Annie Graves brings her injured daughter and the family’s damaged horse all the way to the Booker ranch in Montana in the hope his reputation is real and he can help them. After you finish the book, you might want to take our survey. 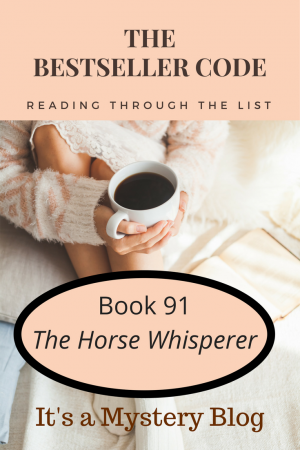 Have you written about The Horse Whisperer? Feel free to add a link to your review here.